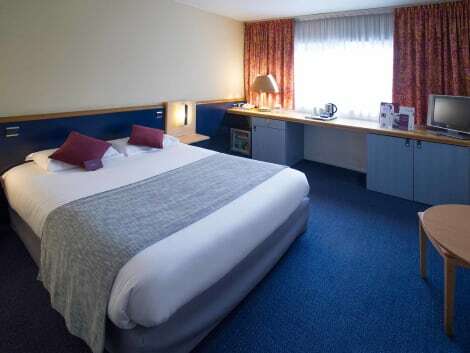 With a stay at Hotel The Originals Porte de Genève Annemasse Sud (ex Inter-Hotel) in Gaillard, you'll be in the suburbs, within a 15-minute drive of Vitam Water Park and Shopping Etrambieres. This hotel is 5.4 mi (8.8 km) from Jet d'Eau Fountain and 5.6 mi (9.1 km) from Flower Clock. With a stay at Appart'City Genève – Gaillard, you'll be centrally located in Gaillard, within a 10-minute drive of Shopping Etrambieres and Chateau Bleu. This hotel is 3 mi (4.9 km) from Jet d'Eau Fountain and 3.2 mi (5.2 km) from Flower Clock. lastminute.com has a fantastic range of hotels in Gaillard, with everything from cheap hotels to luxurious five star accommodation available. We like to live up to our last minute name so remember you can book any one of our excellent Gaillard hotels up until midnight and stay the same night.